Autumn is a great time to change the interior design of your home to reflect the latest decorating trends.As summer comes to an end, we see the start of one of the richest seasons in terms of luxury décor, with two main themes: textures, and the creation of spaces that can capture, concentrate and interpret the fading light of autumn. We return to the inner spaces of our homes, something which is amazingly easy to do thanks to the luxury furniture offered by the design firm Fendi, which can combine the elegance of an open-plan space with striking haute decoration elements, pieces with finishes of very high quality which offer all the comfort we need at this time of year. The very different styles of Manutti and Smania suggest two unique high-end décor concepts for this autumn. For those of us who look back fondly at summer, Manutti proposes a clean interior design, high-end décor with touches of avant-garde geometrics, to bring the last rays of sun into our homes. The perfect luxury decoration for connected indoor-outdoor spaces. The perfect luxury decoration for connected indoor-outdoor spaces. The Italian designer Smania suggests an interior architecture trend for this autumn with a wonderfully welcoming feel and an eclectic style, where decadence meets bohemian, with a certain Scandinavian influence for spaces with a great deal of impact and personality. Rugs are among the most personal decorative elements. They can change an interior design project completely, and can be relied on to pull a room together. The decorating trends for this new season rely on rugs which make the room, while inviting you to walk barefoot and enjoy their softness and quality, like the latest ones from Giorgio Collection. 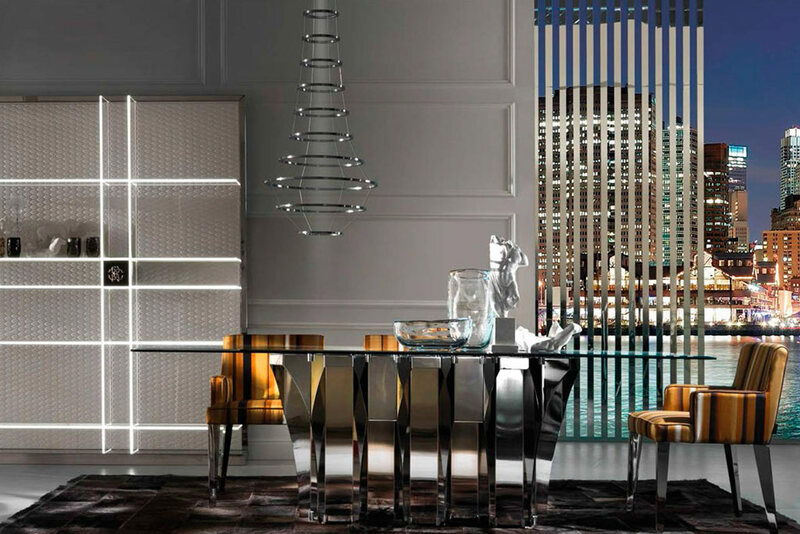 Subverting all our expectations for luxury décor, Tonino Lamborghini Casa will reign in our homes with its new ideas for autumn: dynamic, robust lines which are an attractive breath of fresh air in today’s high-end decorating. Mobile Diseño will be on hand to guide you through the latest decorating trends which will stand out this autumn. We offer personalised, custom interior design projects, combining our services as consultants on the luxury furniture of the most prestigious firms in the sector with the best professionals in the area of construction. Visit us, with no commitment on your part, and we will be delighted to help!